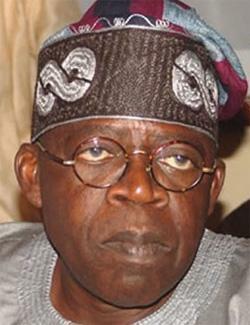 ABUJA – The All Progressives Congress APC said it received the sad news of the death of Jide Tinubu, the son of the former governor of Lagos State and the Partyâ€™s National Leader, Sen. Asiwaju Bola Ahmed Tinubu, “with great shock and grief”. “It is never easy losing a child or any loved one. Indeed, it is hardest when they are taken from us too soon. Many who met the late Jide Tinubu, who was a lawyer, fondly described him as cerebral, industrious and full of life”, APC said in the statement signed by its spokesman, Mallam Bolaji Abdullahi. The statement added: “In this moment of grief, the Party offers its sincere condolence and deepest sympathy to His Excellency and other immediate family members over the painful loss. May the outpouring of sympathy and the comfort in knowing that the late Jideâ€™s death is felt by many, help the family through this difficult time.We pray Almighty Allah (SWT) grant the late Jide eternal rest”. The post APC mourns Jide, Tinubuâ€™s son appeared first on Vanguard News.